Blog Buzz Aldrin App #1 in Education, but wait until you hear about Bulgaria! 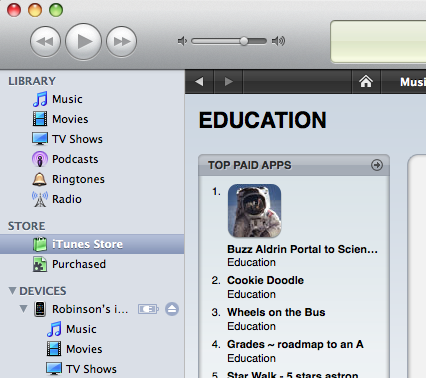 Buzz Aldrin App #1 in Education, but wait until you hear about Bulgaria! Our Buzz Aldrin Portal to Science and Space Technology is the #1 Educational App for the iPhone! We’re obviously proud of this accomplishment, but what’s really interesting is that we are the #14 top Educational App in Bulgaria. Any idea what it takes to get this ranking? Would you believe one App sold in Bulgaria over a 3 day span? Now come on all of you fans from Bulgaria. If you would just buy 3-4 more Apps who knows how high we might rise!